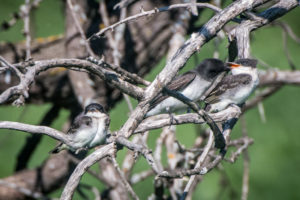 Newly fledged eastern kingbirds offered me lots of photo opps for me this past summer in NE South Dakota. I observed a pair of eastern kingbirds feeding their fledglings right after the babies presumably left the nest. The little ones basked in the warm sunshine, falling asleep in between feedings. Sometimes they were so sleepy that they didn’t even hear the parents bring them food. The parent would hop from one to the other to see who would open their mouth first to take the food delivery. 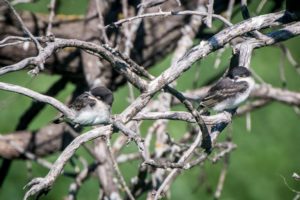 The next day, I spotted the two fledglings in the same tree, but they were more active and moving around the branches. I bet the parents felt less stress once the fledglings became more agile since they became less of a target for predators. 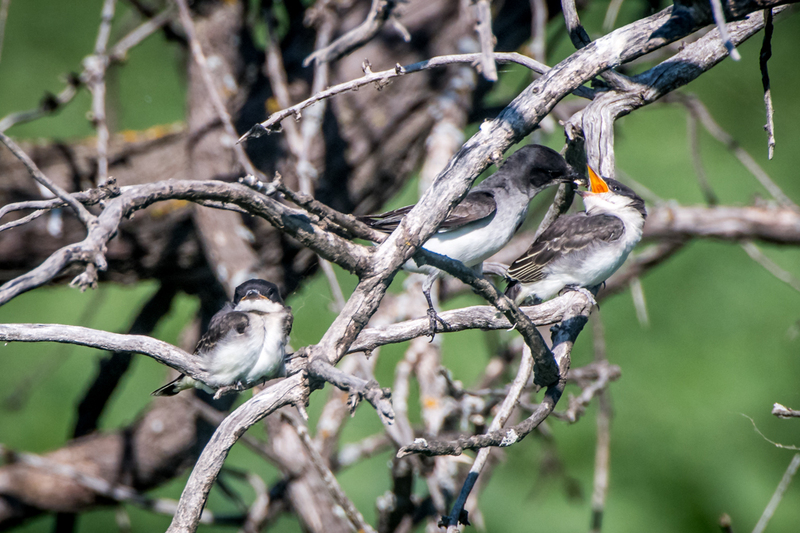 When you see how clumsy and slow-moving some fledgling birds act for the first few days out of the nest, it’s easy to see why only 50% or fewer survive past their first year. Sleeping eastern kingbird fledglings enjoy the warm sunshine early in the morning. 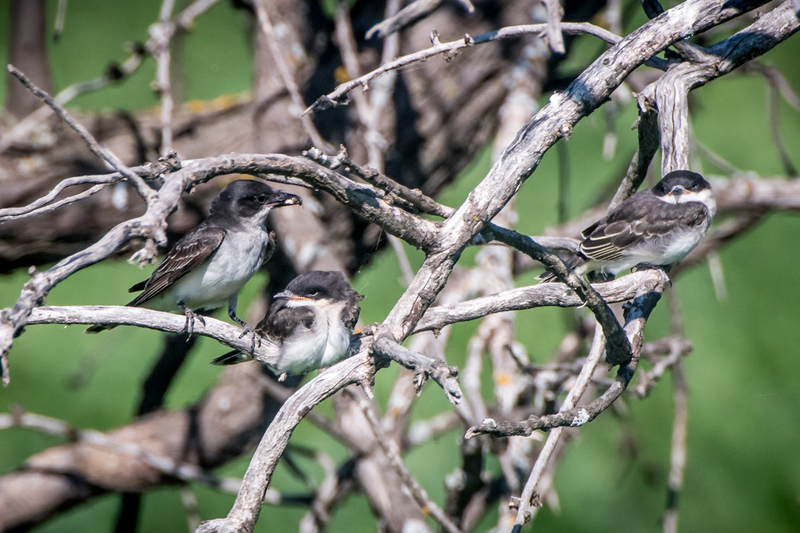 The tiny birds didn’t seem very interested when their parent brought back a tasty lunch of bugs. Lunch arrives for one of the sleepy fledglings. The parents will continue to feed the fledglings until they learn to catch insects on their own.